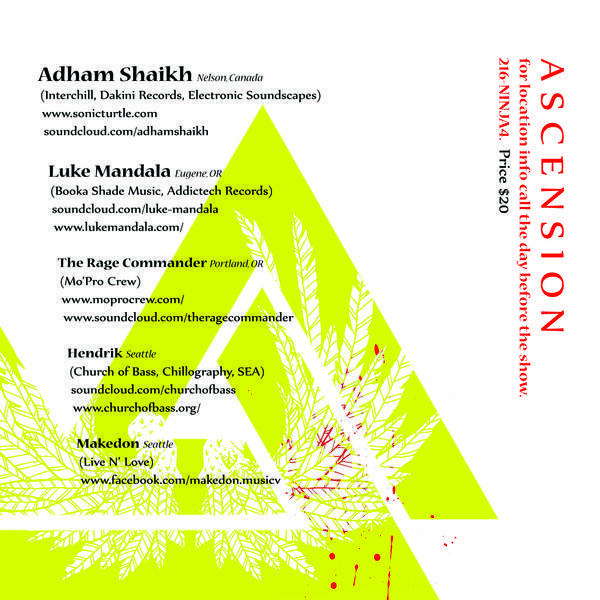 On Satruday October 6th IN SEATTLE, WA Mo'Pro Crew and LiveN'Love Productions Presents- Ascension with Adham Shaikh (Canada) , Luke Mandala (Eugene), The Rage Commander(Portland), Hendrik, and Makedon at a Warehouse Location is South Seattle. 10pm-5am, $20.00... Location and information will be aviable the day of the show by calling 216-NINJA4. 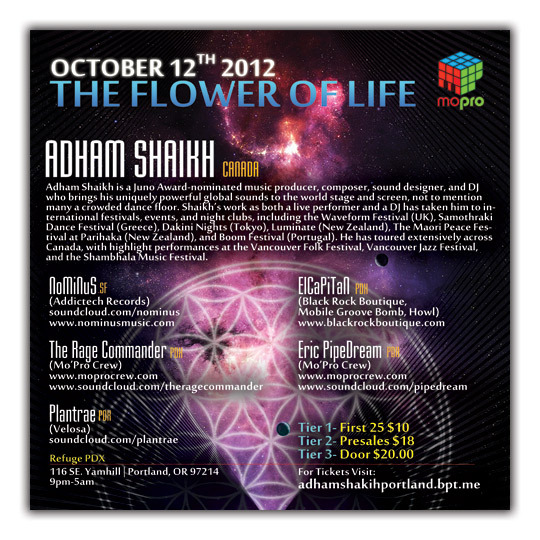 On Friday October 12th in PORTLAND, OR Mo'Pro Crew will be Hosting The Flower of Life W/ Adham Shaikh (Canada), NoMiNuS (San Francisco), The Rage Commander, Plantrea, ElCaPtAiN, and PipeDream. Art By Ashley Montague and Josh Spair, Location is Refuge 116 SE Yamhill, Portland, OR. 9pm-5am $20.00. 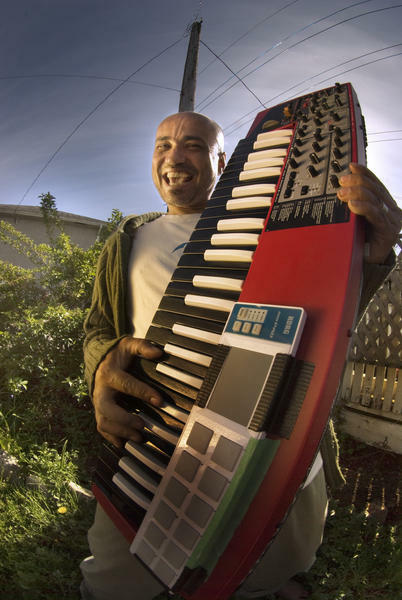 Adham Shaikh is a WORLD renouned producer and has HEADLINED EVENTS like Symbiosis, Boom Festival, Shambala, and Beloved. You really dont want to miss the Portland Debute and The Amazing Seattle Music Event that is going to happen. Adham is truly a world class world fusion producer and preformer you will be so glad you were there.